A very common question that comes up on IRC or elsewhere by people trying to use the gtk-rs GTK bindings in Rust is how to modify UI state, or more specifically GTK widgets, from another thread. Due to GTK only allowing access to its UI state from the main thread and Rust actually enforcing this, unlike other languages, this is less trivial than one might expect. To make this as painless as possible, while also encouraging a more robust threading architecture based on message-passing instead of shared state, I’ve added some new API to the glib-rs bindings: An MPSC (multi-producer/single-consumer) channel very similar to (and based on) the one in the standard library but integrated with the GLib/GTK main loop. While I’ll mostly write about this in the context of GTK here, this can also be useful in other cases when working with a GLib main loop/context from Rust to have a more structured means of communication between different threads than shared mutable state. This will be part of the next release and you can find some example code making use of this at the very end. But first I’ll take this opportunity to also explain why it’s not so trivial in Rust first and also explain another solution. Let’s consider the example of an application that has to perform a complicated operation and would like to do this from another thread (as it should to not block the UI!) and in the end report back the result to the user. For demonstration purposes let’s take a thread that simply sleeps for a while and then wants to update a label in the UI with a new value. // Clone the label so we can also have it available in our thread. This does not compile and the compiler tells us (between a wall of text containing all the details) that the label simply can’t be sent safely between threads. Which is absolutely correct. In, e.g. C, this would not be a problem at all, the compiler does not know about GTK widgets and generally all GTK API to be only safely usable from the main thread, and would happily compile the above. It would the our (the programmer’s) job then to ensure that nothing is ever done with the widget from the other thread, other than passing it around. Among other things, it must also not be destroyed from that other thread (i.e. it must never have the last reference to it and then drop it). So why don’t we do the same as we would do in C and simply pass around raw pointers to the label and do all the memory management ourselves? Well, that would defeat one of the purposes of using Rust and would require quite some unsafe code. We can do better than that and work around Rust’s type system with regards to thread-safety and instead let the relevant checks (are we only ever using the label from the main thread?) be done at runtime instead. This allows for completely safe code, it might just panic at any time if we accidentally try to do something from wrong thread (like calling a function on it, or dropping it) and not just pass the label around. // and move that into the new thread instead. What we instead need to do here is to somehow defer the change of the label to the main thread, and GLib provides various API for doing exactly that. We’ll make use of the first one here but it’s mostly a matter of taste (and trait bounds: the former takes a FnOnce closure while the latter can be called multiple times and only takes FnMut because of that). // Defer the label update to the main thread. // it at the end. From the correct thread! So far so good, this compiles and actually works too. But it feels kind of fragile, and that’s not only because of the name of the crate we use here. The label passed around in different threads is like a landmine only waiting to explode when we use it in the wrong way. It’s also not very nice because now we conceptually share mutable state between different threads, which is the underlying cause for many thread-safety issues and generally increases complexity of the software considerable. Let’s try to do better, Rust is all about fearless concurrency after all. As the title of this post probably made clear, the better solution is to use channels to do message passing. That’s also a pattern that is generally preferred in many other languages that focus a lot on concurrency, ranging from Erlang to Go, and is also the the recommended way of doing this according to the Rust Book. So how would this look like? We first of all would have to create a Channel for communicating with our main thread. As the main thread is running a GLib main loop with its corresponding main context (the loop is the thing that actually is… a loop, and the context is what keeps track of all potential event sources the loop has to handle), we can’t make use of the standard library’s MPSC channel. The Receiver blocks or we would have to poll in intervals, which is rather inefficient. The futures MPSC channel doesn’t have this problem but requires a futures executor to run on the thread where we want to handle the messages. While the GLib main context also implements a futures executor and we could actually use it, this would pull in the futures crate and all its dependencies and might seem like too much if we only ever use it for message passing anyway. Otherwise, if you use futures also for other parts of your code, go ahead and use the futures MPSC channel instead. It basically works the same as what follows. For creating a GLib main context channel, there are two functions available: glib::MainContext::channel() and glib::MainContext::sync_channel(). The latter takes a bound for the channel, after which sending to the Sender part will block until there is space in the channel again. Both are returning a tuple containing the Sender and Receiver for this channel, and especially the Sender is working exactly like the one from the standard library. It can be cloned, sent to different threads (as long as the message type of the channel can be) and provides basically the same API. The Receiver works a bit different, and closer to the for_each() combinator on the futures Receiver. It provides an attach() function that attaches it to a specific main context, and takes a closure that is called from that main context whenever an item is available. The other part that we need to define on our side then is how the messages should look like that we send through the channel. Usually some kind of enum with all the different kinds of messages you want to handle is a good choice, in our case it could also simply be () as we only have a single kind of message and without payload. But to make it more interesting, let’s add the new string of the label as payload to our messages. // and on every message update the label accordingly. While this is a bit more code than the previous solution, it will also be more easy to maintain and generally allows for clearer code. We keep all our GTK widgets inside the main thread now, threads only get access to a sender over which they can send messages to the main thread and the main thread handles these messages in whatever way it wants. There is no shared mutable state between the different threads here anymore, apart from the channel itself. Thanks to all the contributors of both gtk-rs and the GStreamer bindings for all the nice changes that happened over the last 6 months! And as usual, if you find any bugs please report them and if you have any questions let me know. For the full changelog check here. Most changes this time were internally, especially because many user-facing changes (like Debug impls for various types) were already backported to the minor releases in the 0.11 release series. The biggest change this time is probably the inclusion of bindings for the GStreamer WebRTC library. This allows using building all kinds of WebRTC applications outside the browser (or providing a WebRTC implementation for a browser), and while not as full-featured as Google’s own implementation, this interoperates well with the various browsers and generally works much better on embedded devices. A small example application in Rust is available here. Optionally, serde trait implementations for the Serialize and Deserialize trait can be enabled for various fundamental GStreamer types, including caps, buffers, events, messages and tag lists. This allows serializing them into any format that can be handled by serde (which are many! ), and deserializing them back to normal Rust structs. While this is convenient, it made it rather complicated to work with tag lists if you only wanted to handle them in a generic way. For example by iterating over the tag list and simply checking what kind of tags are available. To solve that, a new generic API was added in addition. This works on glib::Values, which can store any kind of type, and using the wrong type for a specific tag would simply cause an error at runtime instead of compile-time. This also greatly simplified the serde serialization/deserialization for tag lists. The main change this time is that all the generic GObject subclassing infrastructure was moved out of the gst-plugin crate and moved to its own gobject-subclass crate as part of the gtk-rs organization. As part of this, some major refactoring has happened that allows subclassing more different types but also makes it simpler to add new types. There are also experimental crates for adding some subclassing support to gio and gtk, and a PR for autogenerating part of the code via the gir code generator. The other big addition this time is that it’s now possible to subclass GStreamer Pads and GhostPads, to implement the ChildProxy interface and to subclass the Aggregator and AggregatorPad class. This now allows to write custom mixer/muxer-style elements (or generally elements that have multiple sink pads) in Rust via the Aggregator base class, and to have custom pad types for elements to allow for setting custom properties on the pads (e.g. to control the opacity of a single video mixer input). There is currently no example for such an element, but I’ll add a very simple video mixer to the repository some time in the next weeks and will also write a blog post about it for explaining all the steps. Unfortunately I was not able to attend the Rust+GNOME hackfest in Madrid last week, but I could at least spend some of my work time at Centricular on implementing one of the things I wanted to work on during the hackfest. The other one, more closely related to the gnome-class work, will be the topic of a future blog post once I actually have something to show. So back to the topic. With the latest GIT version of the Rust bindings for GLib, GTK, etc it is now possible to make use of the Rust futures infrastructure for GIO async operations and various other functions. This should make writing of GNOME, and in general GLib-using, applications in Rust quite a bit more convenient. For the impatient, the summary is that you can use Rust futures with GLib and GIO now, that it works both on the stable and nightly version of the compiler, and with the nightly version of the compiler it is also possible to use async/await. An example with the latter can be found here, and an example just using futures without async/await here. First of all, what are futures and how do they work in Rust. In a few words, a future (also called promise elsewhere) is a value that represents the result of an asynchronous operation, e.g. establishing a TCP connection. The operation itself (usually) runs in the background, and only once the operation is finished (or fails), the future resolves to the result of that operation. There are all kinds of ways to combine futures, e.g. to execute some other (potentially async) code with the result once the first operation has finished. Anything that implements this trait can be considered an asynchronous operation that resolves to either an Item or an Error. Consumers of the future would call the poll method to check if the future has resolved already (to a result or error), or if the future is not ready yet. In case of the latter, the future itself would at a later point, once it is ready to proceed, notify the consumer about that. It would get a way for notifications from the Context that is passed, and proceeding does not necessarily mean that the future will resolve after this but it could just advance its internal state closer to the final resolution. A future represents only a single value, but there is also a trait for something producing multiple values: a Stream. For more details, best to check the documentation. Of course this was also implemented in Rust. Currently based on procedural macros, but there are discussions to actually move this also directly into the language and standard library. This looks almost like normal, synchronous code but is internally converted into a future and completely asynchronous. Unfortunately this is currently only available on the nightly version of Rust until various bits and pieces get stabilized. Most of the time when people talk about futures in Rust, they implicitly also mean Tokio. Tokio is a pure Rust, cross-platform asynchronous IO library and based on the futures abstraction above. It provides a futures executor and various types for asynchronous IO, e.g. sockets and socket streams. But while Tokio is a great library, we’re not going to use it here and instead implement a futures executor around GLib. And on top of that implement various futures, also around GLib’s sister library GIO, which is providing lots of API for synchronous and asynchronous IO. Just like all IO operations in Tokio, all GLib/GIO asynchronous operations are dependent on running with their respective event loop (i.e. the futures executor) and while it’s possible to use both in the same process, each operation has to be scheduled on the correct one. Asynchronous operations and generally everything event related (timeouts, …) are based on callbacks that you have to register, and are running via a GMainLoop that is executing events from a GMainContext. The latter is just something that stores everything that is scheduled and provides API for polling if something is ready to be executed now, while the former does exactly that: executing. As can be seen here already, the callback-based approach leads to quite non-linear code and deep indentation due to all the closures. Also error handling becomes quite tricky due to somehow having handle them from a completely different call stack. Compared to C this is still far more convenient due to actually having closures that can capture their environment, but we can definitely do better in Rust. It is also possible to explicitly select for various operations on which main context they should run, but that’s just a minor detail. To make this situation a bit nicer, I’ve implemented support for futures in the Rust bindings. This means, that the GLib MainContext is now a futures executor (and arbitrary futures can be scheduled on it), all the GSource related operations in GLib (timeouts, UNIX signals, …) have futures- or stream-based variants and all the GIO asynchronous operations also come with futures variants now. The latter are autogenerated with the gir bindings code generator. For enabling usage of this, the futures feature of the glib and gio crates have to be enabled, but that’s about it. It is currently still hidden behind a feature gate because the futures infrastructure is still going to go through some API incompatible changes in the near future. Apart from spawn(), there is also a spawn_local(). The former can be called from any thread but requires the future to implement the Send trait (that is, it must be safe to send it to other threads) while the latter can only be called from the thread that owns the main context but it allows any kind of future to be spawned. In addition there is also a block_on() function on the main context, which allows to run non-static futures up to their completion and returns their result. The spawn functions only work with static futures (i.e. they have no references to any stack frame) and requires the futures to be infallible and resolve to (). This example also shows the block_on functionality to return an actual value from the future (1 in this case). A bigger example can be found in the gtk-rs examples repository here. This example is basically reading a file asynchronously in 64 byte chunks and printing it to stdout, then closing the file. In the same way, network operations or any other asynchronous operation can be handled via futures now. Compared to a callback-based approach, that bigger example is already a lot nicer but still quite heavy to read. With the async/await extension that I mentioned above already, the code looks much nicer in comparison and really almost like synchronous code. Except that it is not synchronous. For compiling this code, the futures-nightly feature has to be enabled for the glib crate, and a nightly compiler must be used. The bigger example from before with async/await can be found here. With this we’re already very close in Rust to having the same convenience as in other languages with asynchronous programming. And also it is very similar to what is possible in Vala with GIO asynchronous operations. For now this is all finished and available from GIT of the glib and gio crates. This will have to be updated in the future whenever the futures API is changing, but it is planned to stabilize all this in Rust until the end of this year. In the future it might also make sense to add futures variants for all the GObject signal handlers, so that e.g. handling a click on a GTK+ button could be done similarly from a future (or rather from a Stream as a signal can be emitted multiple times). If this is in the end more convenient than the callback-based approach that is currently used, is to be seen. Some experimentation would be necessary here. Also how to handle return values of signal handlers would have to be figured out. Following the GStreamer 1.14 release and the new round of gtk-rs releases, there are also new releases for the GStreamer Rust bindings (0.11) and the plugin writing infrastructure (0.2). Thanks also to all the contributors for making these releases happen and adding lots of valuable changes and API additions. The main changes in the Rust bindings were the update to GStreamer 1.14 (which brings in quite some new API, like GstPromise), a couple of API additions (GstBufferPool specifically) and the addition of the GstRtspServer and GstPbutils crates. The former allows writing a full RTSP server in a couple of lines of code (with lots of potential for customizations), the latter provides access to the GstDiscoverer helper object that allows inspecting files and streams for their container format, codecs, tags and all kinds of other metadata. The GstPbutils crate will also get other features added in the near future, like encoding profile bindings to allow using the encodebin GStreamer element (a helper element for automatically selecting/configuring encoders and muxers) from Rust. In addition, the views can now dereference directly to the event/message/query itself and provide access to their API, which simplifies some code even more. While the plugin writing infrastructure did not see that many changes apart from a couple of bugfixes and updating to the new versions of everything else, this does not mean that development on it stalled. Quite the opposite. The existing code works very well already and there was just no need for adding anything new for the projects I and others did on top of it, most of the required API additions were in the GStreamer bindings. So the status here is the same as last time, get started writing GStreamer plugins in Rust. It works well! A bit later than anticipated, this is now part two of the blog post series about writing GStreamer elements in Rust. Part one can be found here, and I’ll assume that everything written there is known already. In this part, a raw audio sine wave source element is going to be written. It will be similar to the one Mathieu was writing in his blog post about writing such a GStreamer element in Python. Various details will be different though, but more about that later. The first part here will be all the boilerplate required to set up the element. You can safely skip this if you remember all this from the previous blog post. Our sine wave element is going to produce raw audio, with a number of channels and any possible sample rate with both 32 bit and 64 bit floating point samples. It will produce a simple sine wave with a configurable frequency, volume/mute and number of samples per audio buffer. In addition it will be possible to configure the element in (pseudo) live mode, meaning that it will only produce data in real-time according to the pipeline clock. And it will be possible to seek to any time/sample position on our source element. It will basically be a more simply version of the audiotestsrc element from gst-plugins-base. So let’s get started with all the boilerplate. This time our element will be based on the BaseSrc base class instead of BaseTransform. // classification and the pad templates with their caps. // will automatically instantiate pads for them. // at any time from any thread. // the name "sinesrc" for being able to instantiate it via e.g. If any of this needs explanation, please see the previous blog post and the comments in the code. The explanation for all the structs fields and what they’re good for will follow in the next sections. With all of the above and a small addition to src/lib.rs this should compile now. Also a couple of new crates have to be added to Cargo.toml and src/lib.rs, but you best check the code in the repository for details. The first part that we have to implement, just like last time, is caps negotiation. We already notified the base class about any caps that we can potentially handle via the caps in the pad template in class_init but there are still two more steps of behaviour left that we have to implement. First of all, we need to get notified whenever the caps that our source is configured for are changing. This will happen once in the very beginning and then whenever the pipeline topology or state changes and new caps would be more optimal for the new situation. This notification happens via the BaseTransform::set_caps virtual method. In here we parse the caps into a AudioInfo and then store that in our internal state, while updating various fields. We tell the base class about the number of bytes each buffer is usually going to hold, and update our current sample position, the stop sample position (when a seek with stop position happens, we need to know when to stop) and our accumulator. This happens by scaling both positions by the old and new sample rate. If we don’t have an old sample rate, we assume nanoseconds (this will make more sense once seeking is implemented). The scaling is done with the help of the muldiv crate, which implements scaling of integer types by a fraction with protection against overflows by doing up to 128 bit integer arithmetic for intermediate values. The accumulator is the updated based on the current phase of the sine wave at the current sample position. As a last step we post a new LATENCY message on the bus whenever the sample rate has changed. Our latency (in live mode) is going to be the duration of a single buffer, but more about that later. BaseSrc is by default already selecting possible caps for us, if there are multiple options. However these defaults might not be (and often are not) ideal and we should override the default behaviour slightly. This is done in the BaseSrc::fixate virtual method. // is generally not a useful sample rate. Here we take the caps that are passed in, truncate them (i.e. remove all but the very first Structure) and then manually fixate the sample rate to the closest value to 48kHz. By default, caps fixation would result in the lowest possible sample rate but this is usually not desired. For good measure, we also fixate the number of channels to the closest value to 1, but this would already be the default behaviour anyway. And then chain up to the parent class’ implementation of fixate, which for now basically does the same as Caps::fixate(). After this, the caps are fixated, i.e. there is only a single Structure left and all fields have concrete values (no ranges or sets). As our source element will work by generating a new audio buffer from a specific offset, and especially works in Time format, we want to notify downstream elements that we don’t want to run in Pull mode, only in Push mode. In addition would prefer sequential reading. However we still allow seeking later. For a source that does not know about Time, e.g. a file source, the format would be configured as Bytes. Other values than Time and Bytes generally don’t make any sense. The main difference here is that otherwise the base class would ask us to produce data for arbitrary Byte offsets, and we would have to produce data for that. While possible in our case, it’s a bit annoying and for other audio sources it’s not easily possible at all. Downstream elements will try to query this very information from us, so we now have to override the default query handling of BaseSrc and handle the SCHEDULING query differently. Later we will also handle other queries differently. To handle the SCHEDULING query specifically, we first have to match on a view (mutable because we want to modify the view) of the query check the type of the query. If it indeed is a scheduling query, we can set the SEQUENTIAL flag and specify that we handle only Push mode, then return true directly as we handled the query already. In all other cases we fall back to the parent class’ implementation of the query virtual method. Now we have everything in place for a working element, apart from the virtual method to actually generate the raw audio buffers with the sine wave. From a high-level BaseSrc works by calling the create virtual method over and over again to let the subclass produce a buffer until it returns an error or signals the end of the stream. Let’s first talk about how to generate the sine wave samples themselves. As we want to operate on 32 bit and 64 bit floating point numbers, we implement a generic function for generating samples and storing them in a mutable byte slice. This is done with the help of the num_traits crate, which provides all kinds of useful traits for abstracting over numeric types. In our case we only need the Float and NumCast traits. Instead of writing a generic implementation with those traits, it would also be possible to do the same with a simple macro that generates a function for both types. Which approach is nicer is a matter of taste in the end, the compiler output should be equivalent for both cases. This function takes the mutable byte slice from our buffer as argument, as well as the current value of the accumulator and the relevant settings for generating the sine wave. As a first step, we “cast” the byte slice to one of the target type (f32 or f64) with the help of the byte_slice_cast crate. This ensures that alignment and sizes are all matching and returns a mutable slice of our target type if successful. In case of GStreamer, the buffer alignment is guaranteed to be big enough for our types here and we allocate the buffer of a correct size later. Now we convert all the parameters to the types we will use later, and store them together with the current accumulator value in local variables. Then we iterate over the whole floating point number slice in chunks with all channels, and fill each channel with the current value of our sine wave. The sine wave itself is calculated by val = volume * sin(2 * PI * frequency * (i + accumulator) / rate), but we actually calculate it by simply increasing the accumulator by 2 * PI * frequency / rate for every sample instead of doing the multiplication for each sample. We also make sure that the accumulator always stays between 0 and 2 * PI to prevent any inaccuracies from floating point numbers to affect our produced samples. Now that this is done, we need to implement the BaseSrc::create virtual method for actually allocating the buffer, setting timestamps and other metadata and it and calling our above function. Just like last time, we start with creating a copy of our properties (settings) and keeping a mutex guard of the internal state around. If the internal state has no AudioInfo yet, we error out. This would mean that no caps were negotiated yet, which is something we can’t handle and is not really possible in our case. Next we calculate how many samples we have to generate. If a sample stop position was set by a seek event, we have to generate samples up to at most that point. Otherwise we create at most the number of samples per buffer that were set via the property. Then we allocate a buffer of the corresponding size, with the help of the bpf field of the AudioInfo, and then set its metadata and fill the samples. The metadata that is set is the timestamp (PTS), and the duration. The duration is calculated from the difference of the following buffer’s timestamp and the current buffer’s. By this we ensure that rounding errors are not causing the next buffer’s timestamp to have a different timestamp than the sum of the current’s and its duration. While this would not be much of a problem in GStreamer (inaccurate and jitterish timestamps are handled just fine), we can prevent it here and do so. Afterwards we call our previously defined function on the writably mapped buffer and fill it with the sample values. With all this, the element should already work just fine in any GStreamer-based application, for example gst-launch-1.0. Don’t forget to set the GST_PLUGIN_PATH environment variable correctly like last time. Before running this, make sure to turn down the volume of your speakers/headphones a bit. You should hear a 440Hz sine wave now. Many audio (and video) sources can actually only produce data in real-time and data is produced according to some clock. So far our source element can produce data as fast as downstream is consuming data, but we optionally can change that. We simulate a live source here now by waiting on the pipeline clock, but with a real live source you would only ever be able to have the data in real-time without any need to wait on a clock. And usually that data is produced according to a different clock than the pipeline clock, in which case translation between the two clocks is needed but we ignore this aspect for now. For details check the GStreamer documentation. For working in live mode, we have to add a few different parts in various places. First of all, we implement waiting on the clock in the create function. // arrived. This is the very reason why we have to report that much latency. // with its own clock would require various translations between the two clocks. // This is out of scope for the tutorial though. To be able to wait on the clock, we first of all need to calculate the clock time until when we want to wait. In our case that will be the clock time right after the end of the last sample in the buffer we just produced. Simply because you can’t capture a sample before it was produced. We calculate the running time from the PTS and duration of the buffer with the help of the currently configured segment and then add the base time of the element on this to get the clock time as result. Please check the GStreamer documentation for details, but in short the running time of a pipeline is the time since the start of the pipeline (or the last reset of the running time) and the running time of a buffer can be calculated from its PTS and the segment, which provides the information to translate between the two. The base time is the clock time when the pipeline went to the Playing state, so just an offset. Next we wait and then return the buffer as before. Now we also have to tell the base class that we’re running in live mode now. This is done by calling set_live(true) on the base class before changing the element state from Ready to Paused. For this we override the Element::change_state virtual method. And as a last step, we also need to notify downstream elements about our latency. Live elements always have to report their latency so that synchronization can work correctly. As the clock time of each buffer is equal to the time when it was created, all buffers would otherwise arrive late in the sinks (they would appear as if they should’ve been played already at the time when they were created). So all the sinks will have to compensate for the latency that it took from capturing to the sink, and they have to do that in a coordinated way (otherwise audio and video would be out of sync if both have different latencies). For this the pipeline is querying each sink for the latency on its own branch, and then configures a global latency on all sinks according to that. This querying is done with the LATENCY query, which we will now also have to handle. // In Live mode we will have a latency equal to the number of samples in each buffer. The latency that we report is the duration of a single audio buffer, because we’re simulating a real live source here. A real live source won’t be able to output the buffer before the last sample of it is captured, and the difference between when the first and last sample were captured is exactly the latency that we add here. Other elements further downstream that introduce further latency would then add their own latency on top of this. Inside the latency query we also signal that we are indeed a live source, and additionally how much buffering we can do (in our case, infinite) until data would be lost. The last part is important if e.g. the video branch has a higher latency, causing the audio sink to have to wait some additional time (so that audio and video stay in sync), which would then require the whole audio branch to buffer some data. As we have an artificial live source, we can always generate data for the next time but a real live source would only have a limited buffer and if no data is read and forwarded once that runs full, data would get lost. You can test this again with e.g. gst-launch-1.0 by setting the is-live property to true. It should write in the output now that the pipeline is live. In Mathieu’s blog post this was implemented without explicit waiting and the usage of the get_times virtual method, but as this is only really useful for pseudo live sources like this one I decided to explain how waiting on the clock can be achieved correctly and even more important how that relates to the next section. With the addition of the live mode, the create function is now blocking and waiting on the clock for some time. This is suboptimal as for example a (flushing) seek would have to wait now until the clock waiting is done, or when shutting down the application would have to wait. To prevent this, all waiting/blocking in GStreamer streaming threads should be interruptible/cancellable when requested. And for example the ClockID that we got from the clock for waiting can be cancelled by calling unschedule() on it. We only have to do it from the right place and keep it accessible. The right place is the BaseSrc::unlock virtual method. // just unschedule the clock it here, if any. We store the clock ID in our struct, together with a boolean to signal whether we’re supposed to flush already or not. And then inside unlock unschedule the clock ID and set this boolean flag to true. Once everything is unlocked, we need to reset things again so that data flow can happen in the future. This is done in the unlock_stop virtual method. To make sure that this struct is always initialized correctly, we also call unlock from stop, and unlock_stop from start. Now as a last step, we need to actually make use of the new struct we added around the code where we wait for the clock. // Store the clock ID in our struct unless we're flushing anyway. // so that we immediately stop waiting on e.g. shutdown. // and we should return Flushing immediately. The important part in this code is that we first have to check if we are already supposed to unlock, before even starting to wait. Otherwise we would start waiting without anybody ever being able to unlock. Then we need to store the clock id in the struct and make sure to drop the mutex guard so that the unlock function can take it again for unscheduling the clock ID. And once waiting is done, we need to remove the clock id from the struct again and in case of ClockReturn::Unscheduled we directly return FlowReturn::Flushing instead of the error. Similarly when using other blocking APIs it is important that they are woken up in a similar way when unlock is called. Otherwise the application developer’s and thus user experience will be far from ideal. As a last feature we implement seeking on our source element. In our case that only means that we have to update the sample_offset and sample_stop fields accordingly, other sources might have to do more work than that. Seeking is implemented in the BaseSrc::do_seek virtual method, and signalling whether we can actually seek in the is_seekable virtual method. // do something and have to update our sample offset and accumulator accordingly. // and for calculating the timestamps, etc. // once a sample rate is known. "Can only seek in Default format if sample rate is known"
Currently no support for reverse playback is implemented here, that is left as an exercise for the reader. So as a first step we check if the segment has a negative rate, in which case we just fail and return false. Afterwards we again take a copy of the settings, keep a mutable mutex guard of our state and then start handling the actual seek. If no caps are known yet, i.e. the AudioInfo is None, we assume a rate of 1 billion. That is, we just store the time in nanoseconds for now and let the set_caps function take care of that (which we already implemented accordingly) once the sample rate is known. Then, if a Time seek is performed, we convert the segment start and stop position from time to sample offsets and save them. And then update the accumulator in a similar way as in the set_caps function. If a seek is in Default format (i.e. sample offsets for raw audio), we just have to store the values and update the accumulator but only do so if the sample rate is known already. A sample offset seek does not make any sense until the sample rate is known, so we just fail here to prevent unexpected surprises later. Try the following pipeline for testing seeking. You should be able to seek the current time drawn over the video, and with the left/right cursor key you can seek. Also this shows that we create a quite nice sine wave. And with that all features are implemented in our sine wave raw audio source. This is part one of a series of blog posts that I’ll write in the next weeks, as previously announced in the GStreamer Rust bindings 0.10.0 release blog post. Since the last series of blog posts about writing GStreamer plugins in Rust (   ) a lot has changed, and the content of those blog posts has only historical value now, as the journey of experimentation to what exists now. In this first part we’re going to write a plugin that contains a video filter element. The video filter can convert from RGB to grayscale, either output as 8-bit per pixel grayscale or 32-bit per pixel RGB. In addition there’s a property to invert all grayscale values, or to shift them by up to 255 values. 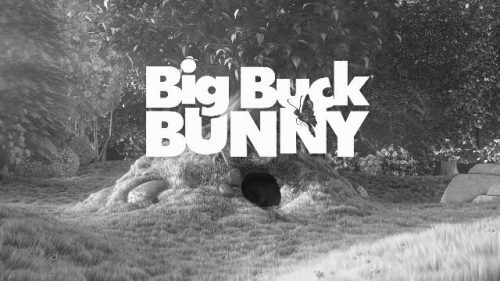 In the end this will allow you to watch Big Bucky Bunny, or anything else really that can somehow go into a GStreamer pipeline, in grayscale. Or encode the output to a new video file, send it over the network via WebRTC or something else, or basically do anything you want with it. This will show the basics of how to write a GStreamer plugin and element in Rust: the basic setup for registering a type and implementing it in Rust, and how to use the various GStreamer API and APIs from the Rust standard library to do the processing. The final code for this plugin can be found here, and it is based on the 0.1 version of the gst-plugin crate and the 0.10 version of the gstreamer crate. At least Rust 1.20 is required for all this. I’m also assuming that you have GStreamer (at least version 1.8) installed for your platform, see e.g. the GStreamer bindings installation instructions. We’ll create a new cargo project with cargo init –lib –name gst-plugin-tutorial. This will create a basically empty Cargo.toml and a corresponding src/lib.rs. We will use this structure: lib.rs will contain all the plugin related code, separate modules will contain any GStreamer plugins that are added. [package] name = "gst-plugin-tutorial" version = "0.1.0" authors = ["Sebastian Dröge <sebastian@centricular.com>"] repository = "https://github.com/sdroege/gst-plugin-rs" license = "MIT/Apache-2.0" [dependencies] glib = "0.4" gstreamer = "0.10" gstreamer-base = "0.10" gstreamer-video = "0.10" gst-plugin = "0.1" [lib] name = "gstrstutorial" crate-type = ["cdylib"] path = "src/lib.rs"
We’re depending on the gst-plugin crate, which provides all the basic infrastructure for implementing GStreamer plugins and elements. In addition we depend on the gstreamer, gstreamer-base and gstreamer-video crates for various GStreamer API that we’re going to use later, and the glib crate to be able to use some GLib API that we’ll need. GStreamer is building upon GLib, and this leaks through in various places. With the basic project structure being set-up, we should be able to compile the project with cargo build now, which will download and build all dependencies and then creates a file called target/debug/libgstrstutorial.so (or .dll on Windows, .dylib on macOS). This is going to be our GStreamer plugin. If you now run the gst-inspect-1.0 tool on the libgstrstutorial.so, it will not yet print all information it can extract from the plugin but for now just complains that this is not a valid GStreamer plugin. Which is true, we didn’t write any code for it yet. Next we make use of the plugin_define! macro from the gst-plugin crate to set-up the static metadata of the plugin (and make the shared library recognizeable by GStreamer to be a valid plugin), and to define the name of our entry point function (plugin_init) where we will register all the elements that this plugin provides. This is unfortunately not very beautiful yet due to a) GStreamer requiring this information to be statically available in the shared library, not returned by a function (starting with GStreamer 1.14 it can be a function), and b) Rust not allowing raw strings (b”blabla) to be concatenated with a macro like the std::concat macro (so that the b and \0 parts could be hidden away). Expect this to become better in the future. As a next step, we’re going to add another module rgb2gray to our project, and call a function called register from our plugin_init function. GStreamer is based on the GLib object system (GObject). C (just like Rust) does not have built-in support for object orientated programming, inheritance, virtual methods and related concepts, and GObject makes these features available in C as a library. Without language support this is a quite verbose endeavour in C, and the gst-plugin crate tries to expose all this in a (as much as possible) Rust-style API while hiding all the details that do not really matter. This defines a zero-sized struct Rgb2GrayStatic that is used to implement the ImplTypeStatic<BaseTransform> trait on it for providing static information about the type to the type system. In our case this is a zero-sized struct, but in other cases this struct might contain actual data (for example if the same element code is used for multiple elements, e.g. when wrapping a generic codec API that provides support for multiple decoders and then wanting to register one element per decoder). By implementing ImplTypeStatic<BaseTransform> we also declare that our element is going to be based on the GStreamer BaseTransform base class, which provides a relatively simple API for 1:1 transformation elements like ours is going to be. ImplTypeStatic provides functions that return a name for the type, and functions for initializing/returning a new instance of our element (new) and for initializing the class metadata (class_init, more on that later). We simply let those functions proxy to associated functions on the Rgb2Gray struct that we’re going to define at a later time. In addition, we also define a register function (the one that is already called from our plugin_init function) and in there first register the Rgb2GrayStatic type metadata with the GObject type system to retrieve a type ID, and then register this type ID to GStreamer to be able to create new instances of it with the name “rsrgb2gray” (e.g. when using gst::ElementFactory::make). As a next step we declare the Rgb2Gray struct and implement the new and class_init functions on it. In the first version, this struct is almost empty but we will later use it to store all state of our element. In the new function we return a boxed (i.e. heap-allocated) version of our struct, containing a newly created GStreamer debug category of name “rsrgb2gray”. We’re going to use this debug category later for making use of GStreamer’s debug logging system for logging the state and changes of our element. In the class_init function we, again, set up some metadata for our new element. In this case these are a description, a classification of our element, a longer description and the author. The metadata can later be retrieved and made use of via the Registry and PluginFeature/ElementFactory API. We also configure the BaseTransform class and define that we will never operate in-place (producing our output in the input buffer), and that we don’t want to work in passthrough mode if the input/output formats are the same. Additionally we need to implement various traits on the Rgb2Gray struct, which will later be used to override virtual methods of the various parent classes of our element. For now we can keep the trait implementations empty. There is one trait implementation required per parent class. With all this defined, gst-inspect-1.0 should be able to show some more information about our element already but will still complain that it’s not complete yet. Data flow of GStreamer elements is happening via pads, which are the input(s) and output(s) (or sinks and sources) of an element. Via the pads, buffers containing actual media data, events or queries are transferred. An element can have any number of sink and source pads, but our new element will only have one of each. To be able to declare what kinds of pads an element can create (they are not necessarily all static but could be created at runtime by the element or the application), it is necessary to install so-called pad templates during the class initialization. These pad templates contain the name (or rather “name template”, it could be something like src_%u for e.g. pad templates that declare multiple possible pads), the direction of the pad (sink or source), the availability of the pad (is it always there, sometimes added/removed by the element or to be requested by the application) and all the possible media types (called caps) that the pad can consume (sink pads) or produce (src pads). In our case we only have always pads, one sink pad called “sink”, on which we can only accept RGB (BGRx to be exact) data with any width/height/framerate and one source pad called “src”, on which we will produce either RGB (BGRx) data or GRAY8 (8-bit grayscale) data. We do this by adding the following code to the class_init function. The names “src” and “sink” are pre-defined by the BaseTransform class and this base-class will also create the actual pads with those names from the templates for us whenever a new element instance is created. Otherwise we would have to do that in our new function but here this is not needed. If you now run gst-inspect-1.0 on the rsrgb2gray element, these pad templates with their caps should also show up. We define a new struct State that contains the input and output caps, stored in a VideoInfo. VideoInfo is a struct that contains various fields like width/height, framerate and the video format and allows to conveniently with the properties of (raw) video formats. We have to store it inside a Mutex in our Rgb2Gray struct as this can (in theory) be accessed from multiple threads at the same time. This code should be relatively self-explanatory. In set_caps we’re parsing the two caps into a VideoInfo and then store this in our State, in stop we drop the State and replace it with None. In addition we make use of our debug category here and use the gst_info! and gst_debug! macros to output the current caps configuration to the GStreamer debug logging system. This information can later be useful for debugging any problems once the element is running. Next we have to provide information to the BaseTransform base class about the size in bytes of a video frame with specific caps. This is needed so that the base class can allocate an appropriately sized output buffer for us, that we can then fill later. This is done with the get_unit_size virtual method, which is required to return the size of one processing unit in specific caps. In our case, one processing unit is one video frame. In the case of raw audio it would be the size of one sample multiplied by the number of channels. We simply make use of the VideoInfo API here again, which conveniently gives us the size of one video frame already. Instead of get_unit_size it would also be possible to implement the transform_size virtual method, which is getting passed one size and the corresponding caps, another caps and is supposed to return the size converted to the second caps. Depending on how your element works, one or the other can be easier to implement. We’re not done yet with caps handling though. As a very last step it is required that we implement a function that is converting caps into the corresponding caps in the other direction. For example, if we receive BGRx caps with some width/height on the sinkpad, we are supposed to convert this into new caps with the same width/height but BGRx or GRAY8. That is, we can convert BGRx to BGRx or GRAY8. Similarly, if the element downstream of ours can accept GRAY8 with a specific width/height from our source pad, we have to convert this to BGRx with that very same width/height. This caps conversion happens in 3 steps. First we check if we got caps for the source pad. In that case, the caps on the other pad (the sink pad) are going to be exactly the same caps but no matter if the caps contained BGRx or GRAY8 they must become BGRx as that’s the only format that our sink pad can accept. We do this by creating a clone of the input caps, then making sure that those caps are actually writable (i.e. we’re having the only reference to them, or a copy is going to be created) and then iterate over all the structures inside the caps and then set the “format” field to BGRx. After this, all structures in the new caps will be with the format field set to BGRx. Similarly, if we get caps for the sink pad and are supposed to convert it to caps for the source pad, we create new caps and in there append a copy of each structure of the input caps (which are BGRx) with the format field set to GRAY8. In the end we append the original caps, giving us first all caps as GRAY8 and then the same caps as BGRx. With this ordering we signal to GStreamer that we would prefer to output GRAY8 over BGRx. In the end the caps we created for the other pad are filtered against optional filter caps to reduce the potential size of the caps. This is done by intersecting the caps with that filter, while keeping the order (and thus preferences) of the filter caps (gst::CapsIntersectMode::First). Now that all the caps handling is implemented, we can finally get to the implementation of the actual video frame conversion. For this we start with defining a helper function bgrx_to_gray that converts one BGRx pixel to a grayscale value. The BGRx pixel is passed as a &[u8] slice with 4 elements and the function returns another u8 for the grayscale value. This function works by extracting the blue, green and red components from each pixel (remember: we work on BGRx, so the first value will be blue, the second green, the third red and the fourth unused), extending it from 8 to 32 bits for a wider value-range and then converts it to the Y component of the YUV colorspace (basically what your grandparents’ black & white TV would’ve displayed). The coefficients come from the Wikipedia page about YUV and are normalized to unsigned 16 bit integers so we can keep some accuracy, don’t have to work with floating point arithmetic and stay inside the range of 32 bit integers for all our calculations. As you can see, the green component is weighted more than the others, which comes from our eyes being more sensitive to green than to other colors. Note: This is only doing the actual conversion from linear RGB to grayscale (and in BT.601 colorspace). To do this conversion correctly you need to know your colorspaces and use the correct coefficients for conversion, and also do gamma correction. See this about why it is important. What happens here is that we first of all lock our state (the input/output VideoInfo) and error out if we don’t have any yet (which can’t really happen unless other elements have a bug, but better safe than sorry). After that we map the input buffer readable and the output buffer writable with the VideoFrameRef API. By mapping the buffers we get access to the underlying bytes of them, and the mapping operation could for example make GPU memory available or just do nothing and give us access to a normally allocated memory area. We have access to the bytes of the buffer until the VideoFrameRef goes out of scope. Instead of VideoFrameRef we could’ve also used the gst::Buffer::map_readable() and gst::Buffer::map_writable() API, but different to those the VideoFrameRef API also extracts various metadata from the raw video buffers and makes them available. For example we can directly access the different planes as slices without having to calculate the offsets ourselves, or we get directly access to the width and height of the video frame. After mapping the buffers, we store various information we’re going to need later in local variables to save some typing later. This is the width (same for input and output as we never changed the width in transform_caps), the input and out (row-) stride (the number of bytes per row/line, which possibly includes some padding at the end of each line for alignment reasons), the output format (which can be BGRx or GRAY8 because of how we implemented transform_caps) and the pointers to the first plane of the input and output (which in this case also is the only plane, BGRx and GRAY8 both have only a single plane containing all the RGB/gray components). Then based on whether the output is BGRx or GRAY8, we iterate over all pixels. The code is basically the same in both cases, so I’m only going to explain the case where BGRx is output. We start by iterating over each line of the input and output, and do so by using the chunks iterator to give us chunks of as many bytes as the (row-) stride of the video frame is, do the same for the other frame and then zip both iterators together. This means that on each iteration we get exactly one line as a slice from each of the frames and can then start accessing the actual pixels in each line. To access the individual pixels in each line, we again use the chunks iterator the same way, but this time to always give us chunks of 4 bytes from each line. As BGRx uses 4 bytes for each pixel, this gives us exactly one pixel. Instead of iterating over the whole line, we only take the actual sub-slice that contains the pixels, not the whole line with stride number of bytes containing potential padding at the end. Now for each of these pixels we call our previously defined bgrx_to_gray function and then fill the B, G and R components of the output buffer with that value to get grayscale output. And that’s all. Using Rust high-level abstractions like the chunks iterators and bounds-checking slice accesses might seem like it’s going to cause quite some performance penalty, but if you look at the generated assembly most of the bounds checks are completely optimized away and the resulting assembly code is close to what one would’ve written manually (especially when using the newly-added exact_chunks iterators). Here you’re getting safe and high-level looking code with low-level performance! You might’ve also noticed the various assertions in the processing function. These are there to give further hints to the compiler about properties of the code, and thus potentially being able to optimize the code better and moving e.g. bounds checks out of the inner loop and just having the assertion outside the loop check for the same. In Rust adding assertions can often improve performance by allowing further optimizations to be applied, but in the end always check the resulting assembly to see if what you did made any difference. Note that you will likely want to compile with cargo build –release and add the target/release directory to GST_PLUGIN_PATH instead. The debug build might be too slow, and generally the release builds are multiple orders of magnitude (!) faster. The only feature missing now are the properties I mentioned in the opening paragraph: one boolean property to invert the grayscale value and one integer property to shift the value by up to 255. Implementing this on top of the previous code is not a lot of work. Let’s start with defining a struct for holding the property values and defining the property metadata. This should all be rather straightforward: we define a Settings struct that stores the two values, implement the Default trait for it, then define a two-element array with property metadata (names, description, ranges, default value, writability), and then store the default value of our Settings struct inside another Mutex inside the element struct. In the next step we have to make use of these: we need to tell the GObject type system about the properties, and we need to implement functions that are called whenever a property value is set or get. Property values can be changed from any thread at any time, that’s why the Mutex is needed here to protect our struct. And we’re using a new mutex to be able to have it locked only for the shorted possible amount of time: we don’t want to keep it locked for the whole time of the transform function, otherwise applications trying to set/get values would block for up to one frame.